An Eagle Rock man was arrested on Saturday evening after being accused of child molestation and sexual abuse involving two minors earlier that day. Edward Lee Resz, 51, of Eagle Rock, was arrested on charges of sexual abuse in the first degree, endangering the welfare of a child in the first degree, child molestation in the second degree and sexual abuse in the second degree. According to the affidavit of probable cause by Barry County Deputy Alvin Zabala, Resz was driving a vehicle near his home on Highway M with three passengers, an 18 year old female and the other two minors. According to the victim statements, Resz sexually abused the 18 year old in the vehicle and would not stop when she told him to. Resz had a revoked drivers license at the time of the incident, and according to a victim’s statement, the 18-year-old female in the truck had to drive even though she did not have a drivers license because she feared for their safety because of Resz’s level of intoxication. Resz has two prior convictions for driving while revoked in Barry County from 2009. 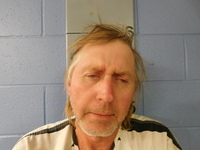 Resz is currently being held in the Barry County Jail on a $20,000 cash-only bond.